Oak Class have been learning the story of Zelda Claw and The Rain Cat. As a part of the Talk 4 Writing Process we went outside and acted out the story and discussed how the character behaved and felt. The children thoroughly enjoyed acting out and creeping around in the woods! We have been learning each part of the story- Photos/ videos to follow! 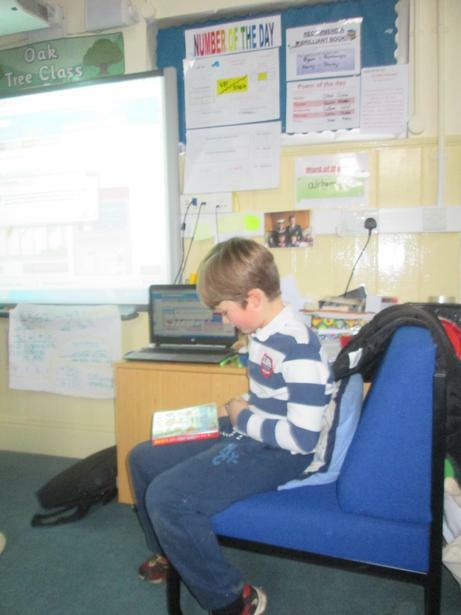 We are reading the story The Abominables by Eva Ibbotson. As a part of this we have already created newspaper reports. We will go on to create our own information text about Yetis. Then onward to information texts about Polar animals. In guided and shared reading sessions we will be studying the story Wolves of Willoughby Chase by Joan Aiken. We will study the language, structure, inference and deductions, make summaries and predictions. Oak enjoy role play as Polar Explorers! So far this half term we are looking at poetry. We are part of Premier League Primary Stars and we are going to enter their poetry competition! Reading is SO important and we are trying to encourage the children to read as much as possible. 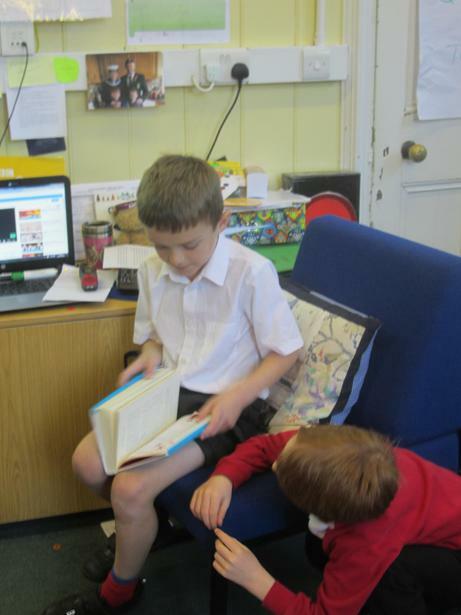 Well Done Wilf, Ryan and Alfie They have been doing so much reading at home. We are really proud of you! Who will get to Reading Planet 50 first? Teach Your Monster To Read Phonics Game using set 1,2 and 3 sounds.